In Aerospace Management, the GMP program is a two-week intensive study course, with the first week focusing on general management concepts in business while the second week focuses on the acquisition of leadership and interpersonal skills. 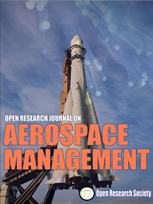 Aerospace management research papers focus on what is needed educationally to participate in an aerospace program. The duties of an aerospace manager are also covered. The second week focuses on the acquisition of leadership and interpersonal skills. Interviews with 24 senior managers established a framework for the learning needs of the organization. A three-page survey questionnaire was distributed to approximately 290 managers who attended GMP, which resulted in general levels of satisfaction with the learning experience. The diagnostic methods used in collecting this data, however, are not fully indicative of the actual learning needs of the firm or the effectiveness of the GMP training protocol in meeting these needs. Because the firm is relatively large, the interviews with the 24 managers that established the learning needs of the firm are a relatively small sampling and may not be statistically significant. As senior managers, they are presumably concerned with strategic objectives, but the priority that they assigned to these objectives may be skewed by the small size of the sampling. Despite its shortcomings, the survey of senior managers produced some indication of the perceived needs of the firm. It is not clear, however, that these needs have been translated into specific management development objectives. In effect, they articulate broad objectives, but do not indicate the steps that are necessary in order to achieve the objectives. In addition, a traditional data gathering methodology was used to determine the satisfaction levels of GMP graduates. The methodology is based on self-assessment alone, which can result in error due to the bias on the part of the respondent towards the GMP training protocol. In effect, there is no guarantee that the GMP intervention resulted in actual change in behavior as opposed to self-perceived changes in behavior. A 360-degree approach would have helped to reduce the potential for this type of error to impact the results of the manager's assessment. This suggests that an additional survey should be undertaken to determine if the self-assessment results of the traditional survey method are supported by the results of a 360-degree assessment approach, which would help to determine if the training intervention had the desired outcome in improving performance. Managerial Applications - Managerial Applications Research Papers explore a sample of an order placed to research ten managerial topic areas which are given. Data Collection - Overview of data collection and procedures in statistical sampling for research papers custom written by Paper Masters. Data Collection Plan - Outlining a Data Collection Plan for a research paper or master's thesis is easy when you order from Paper Masters. Secondary Data Collection - Secondary Data Collection and search strategies can be divided into three criteria: data retrieval methods, data location, and Internet searching. Airline Security - Airline Security Research Papers look at a sample of an order placed on airline security in America giving detailed information on the set up of the paper. Southwest Airlines - This is a research paper on the Southwest Airlines Company. Southwest Airlines is a broad Southwest Airlines and very difficult to narrow. American Airline - American Airline Security Research Paper examines an example of an order placed on airline security with items that are required to complete the project. Total Quality Management - Total Quality Management research papers examine TQM in today's business world and beyond. Risk Management - Risk management guidelines in Risk Management term papers, essays on Risk Management. Real World Operations Management - Real World Operations Management Research Papers delve into an order placed on a service or good organization, and the use of REAL data is asked to be used. Critical Chain Project Management - This research project is on Critical Chain Project Management. Paper Masters writes custom research papers on Aerospace Management and delves into a paper on the different workshops that are available for managers in the aerospace field.